Calgary, Alberta – December 16, 2016 – Prairie Provident Resources Inc. (“Prairie Provident” or the “Company”) is pleased to announce the closing of its previously announced equity offering for aggregate gross proceeds of approximately $4.95 million, comprised of 5,465,000 common shares issued as “flow-through shares” with respect to “Canadian exploration expenses” (“CEE Flow-Through Shares”) at a price $0.85 per share for proceeds of approximately $4.65 million, and 375,000 common shares issued as “flow-through shares” with respect to “Canadian development expenses” (“CDE Flow-Through Shares”) at a price of $0.80 per share for proceeds of $300,000, all within the meaning of the Income Tax Act (Canada) and regulations thereunder (the “Tax Act”). The offering was made pursuant to a short form prospectus dated December 8, 2016 through a syndicate of agents comprised of Mackie Research Capital Corporation, as lead agent and sole bookrunner, and Industrial Alliance Securities Inc. In connection with the offering, the Company covenanted to incur and renounce to subscribing purchasers “Canadian exploration expenses” within the meaning of the Tax Act in an amount equal to the total purchase price of the CEE Flow-Through Shares, and “Canadian development expenses” within the meaning of the Tax Act in an amount equal to the total purchase price of the CDE Flow-Through Shares. The CEE Flow-Through Shares and CDE Flow-Through Shares have not been and will not be registered under the United States Securities Act of 1933, as amended (the “1933 Act”) or any state securities laws, and may not be offered or sold in the United States or to U.S. persons except in transactions exempt from the registration requirements thereof. This news release does not constitute an offer to sell or the solicitation of an offer to buy any securities of the Company in the United States or in any other jurisdiction in which any such offer, solicitation or sale would be unlawful. The Company is also pleased to note that the National Assembly in Quebec has passed into law Bill 106, which will implement the 2030 Energy Policy and amend various legislative provisions. These amendments include the enactment of the Petroleum Resources Act that will govern the development of petroleum resources and is expected to return a measure of stability to the oil and gas industry in Quebec once the new regulations have been clarified for industry participants. Prairie Provident is a Calgary-based company engaged in the exploration and development of oil and natural gas properties in Alberta. The Company’s strategy is to grow organically in combination with accretive acquisitions of conventional oil prospects, which can be efficiently developed. Prairie Provident’s operations are primarily focused at Wheatland and Princess in Southern Alberta targeting the Lithic Glauc formation, along with an early stage waterflood project at Evi in the Peace River Arch. 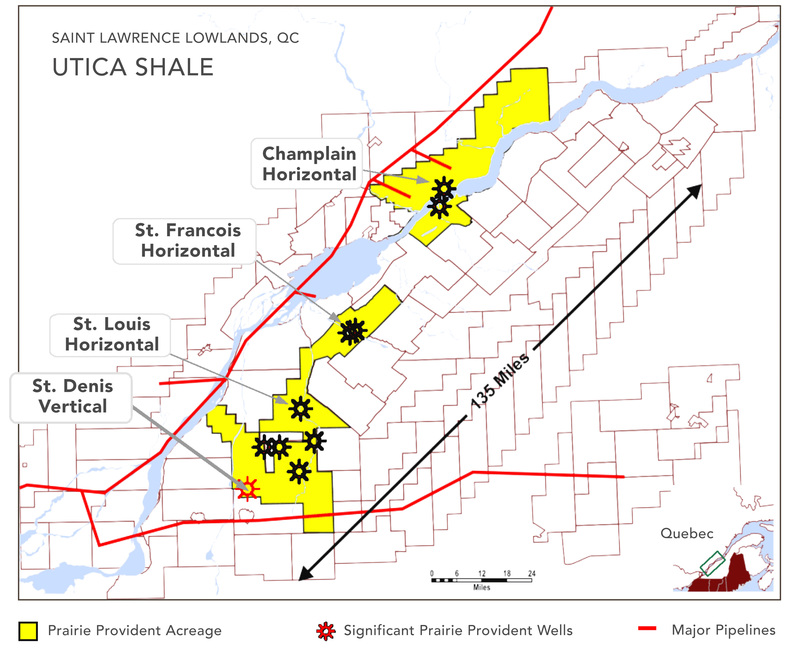 The Company also holds a large acreage position of approximately 240,000 net acres in the Utica shale in Quebec’s Saint Lawrence lowlands. Prairie Provident protects its balance sheet through an active hedging program and manages risk by allocating capital to opportunities offering maximum shareholder returns. This news release contains certain forward-looking information and statements within the meaning of applicable securities laws. The use of any of the words “expect,” “anticipate,” “continue,” “estimate,” “objective,” “ongoing,” “may,” “will,” “project,” “should,” “believe,” “plans,” “intends,” “strategy” and similar expressions are intended to identify forward-looking information or statements. 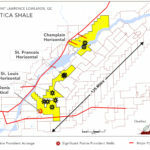 In particular, but without limiting the foregoing, this news release contains forward-looking information and statements pertaining to the incurrence and renunciation by the Company of qualifying expenses under the Tax Act, and the Company’s expected impact from the enactment of the Petroleum Resources Act in Quebec.